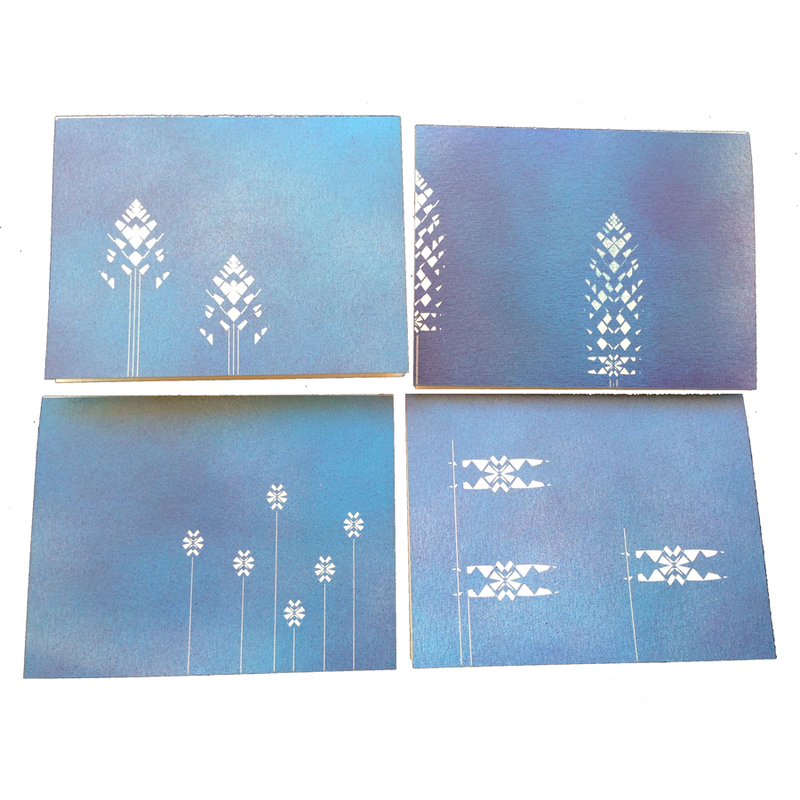 The patterns for these note cards are original and inspired by nature. These patterns were developed through a process known as “Nature Patterns” where a natural item, in this case the blossom of an Aloe plant, is geometrically analyzed and then reconstructed in an abstract form. 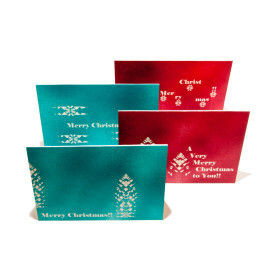 Delightful as gifts or for your own use, these note cards are blank white inside and come in a variety of colors. If you don’t see the color you’d like listed, just ask, we’ll be happy to make it for you! Some variation in color and texture is inherent to the process. 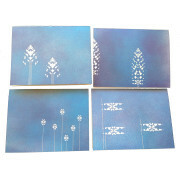 Cards come in a set of 4, each with different elements of the original Aloe pattern playfully arranged. Includes 4 white envelopes. Cut from 140# water color paper spray painted on front and back. Blank inside. The patterns for these note cards are original and inspired by nature. These patterns were developed through a process known as "Nature Patterns" where a natural item, in this case the Barrel Cactus of the Sonoran Desert, is geometrically analyzed and then reconstructed in an abstract form. 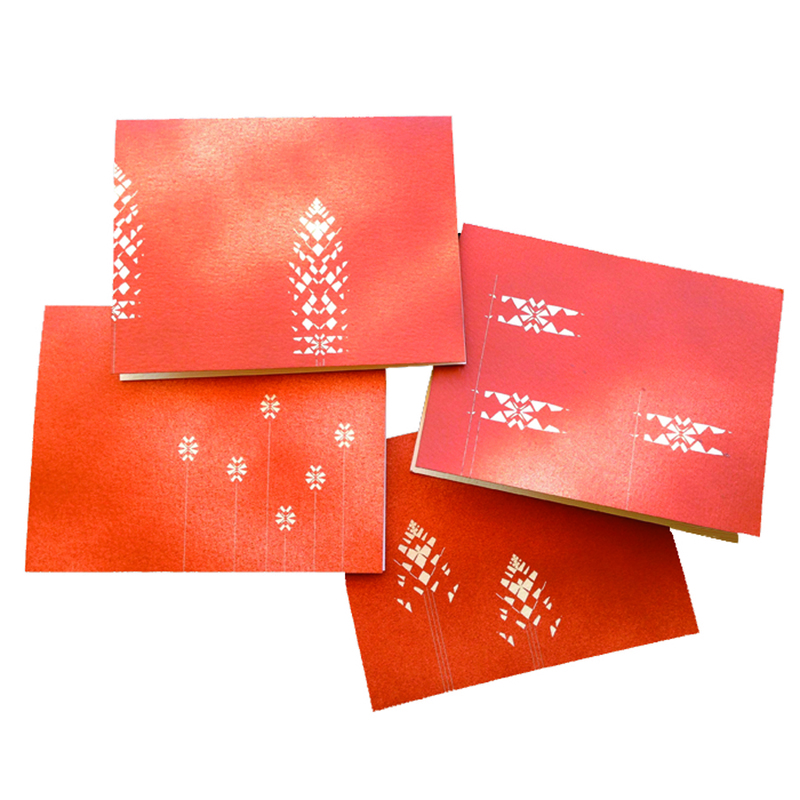 Various elements of the full pattern are playfully arranged across the different note cards. 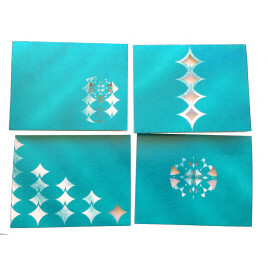 Delightful as gifts or for your own use, these note cards are blank white inside and come in a variety of colors. If you don't see the color you'd like listed, just ask, we'll be happy to make it for you! Some variation in color and texture is inherent to the process.